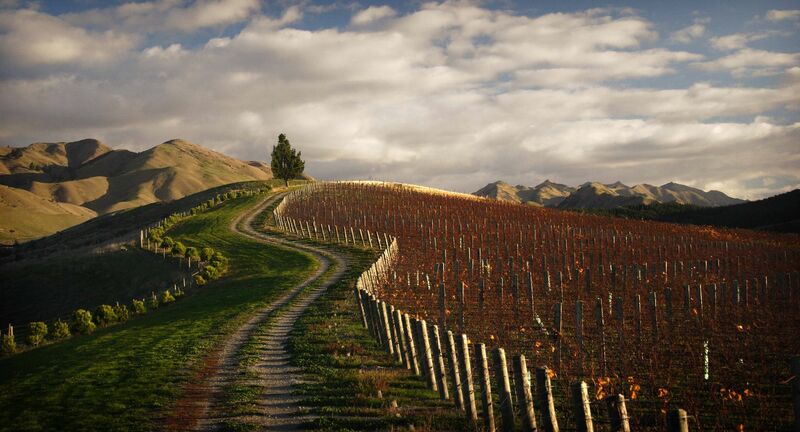 Until recently, when I thought of fine New Zealand Pinot Noir, the words “Central Otago” came first to mind. If someone mentioned Marlborough for Pinot Noir, my reply was that Marlborough needed to stick to Sauvignon Blanc and maybe Riesling, Pinot Gris, or Chardonnay. At one time I was right but things have changed. A recent trip to Marlborough afforded me the opportunity to taste several Pinot Noirs from a couple of Marlborough producers who are making Fine to outstanding Pinots. When I commented on the quality and my previous disdain for Marlborough Pinot, they both told me the same thing: that I had been tasting Pinots from before 2011. 2011 was the vintage where the light turned on for some Marlborough producers who have now “figured it out” (the same thing happened with Pinot Noir in California in the early 1990s), and are now making fine pinots that are getting better from vintage to vintage. This MOMO Pinot Noir comes from winemaker Clive Dougall and his team at Seresin (owned by movie director Michael Seresin). The farming comes first here and is all organic and biodynamic so the grapes and the vineyard biome come healthy into the winery where they are respectfully processes using gentle techniques and indigenous fermentations. It is rare to find a wine at this price where the farming is at this high a level and the winemaking is what you’d expect from a top domaine in Burgundy’s Cote de Nuits. 100% Biodynamic Pinot Noir from two Marlborough vineyards (90+% from Raupo Creek and the balance from Tatou). Hand-picked, hand-sorted, de-stemmed, and then given a 3-day cold soak (pre-fermentation maceration) before an indigenous yeast fermentation in open-top fermenters. Aged 11 months in all French oak barrels (no new oak). Medium red with well-formed legs; dry, medium-light-bodied with fresh acidity and medium-light phenolics. Vivid, fresh, almost crunchy red cherry-berry fruit with cola, spice, and a bit of earthiness. Well integrated, tasty, and delicious. Stunning value. BearScore: 91. (No animal products are used so Momo Pinot Noir is vegan-friendly).